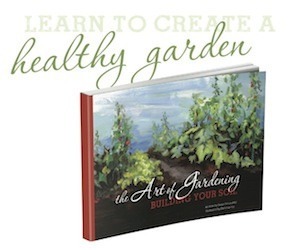 You’ve worked in the garden all day; you’re hot and tired. You need pampering and you need to relax. You spent an amazing day hiking in the woods, but you realize that the rock on which you rested was surrounded by poison ivy. Or maybe your little one’s skin is dry and irritated. Herb-infused homemade soap is just the help you need. Soap is amazing; it can revive you or help you to relax and sleep. It can cool you on a hot day, or help to heal your skin problems. 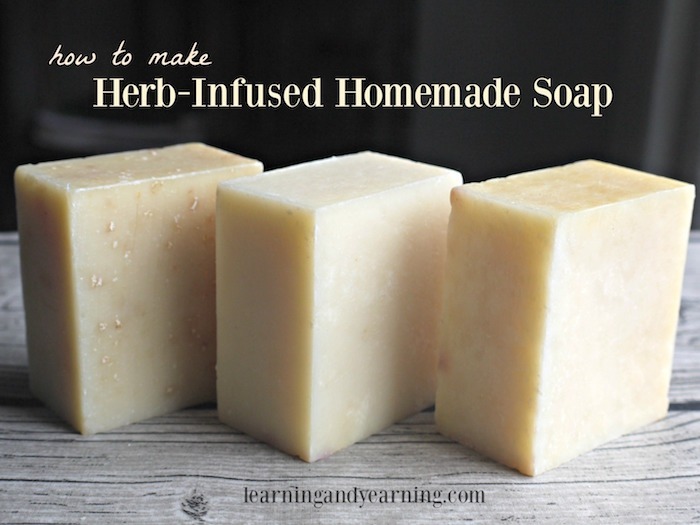 Yes, it can do all that if you use herb infused homemade soap! There are so many helpful herbs from which to choose; feel free to mix them up. Calendula – very gentle for sensitive skin and helps to soothe rashes and skin irritation. Chamomile – I almost dozed off making chamomile soap one time – it will definitely help you to relax. And it can help to heal skin as well. Dandelion – helps to maintain healthy skin. Forsythia – often used in skin care products because of its ability to heal infection and soothe irritated skin. Jewelweed – often used to ease the irritation of poison ivy and other rashes. 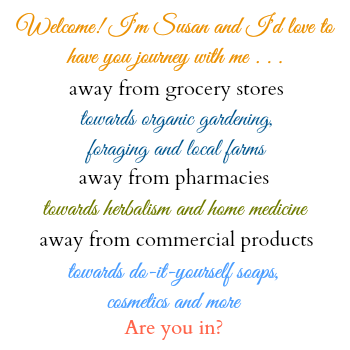 Lavender – another popular herb that will help you to relax. 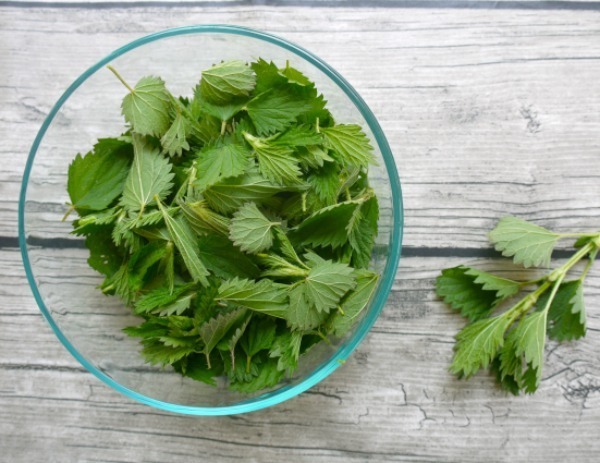 Nettle – this often foraged herb is great for insect bites and eczema. Mint – just as mint tea is so refreshing on a hot day, mint soap can help to cool and refresh. Plantain – soothes skin and is great for eczema. Rosemary – reduces excess oil and its scent can wake you up. Rose petals – help to maintain the skin’s pH balance and controls excess oil. It is soothing and moisturizing. Violet leaf and flowers – great for dry skin. This recipe uses both herb infused oil and herbal tea. Making an herb infused oil really is as simple as steeping quality herbs in a quality oil. Time and warmth are needed to allow the volatile oils in the herb to become infused in the oil. Fresh herbs contain water which can potentially cause mold. Using dried herbs can prevent this problem, but if you must use fresh herbs, allow them to dry in an airy location for a day or so to allow some of the water to evaporate. If you’re looking for a quality source of dried herbs, you’ll love Frontier Herbs or Starwest Botanicals. To infuse the oil you’ll need for the recipe, weigh 16 ounces of olive oil. It’s important that you weigh the oil, and not use 16 fluid ounces. Place 1 1/2 cups of chopped herb of your choice (feel free to mix herbs) in a 1 quart mason jar and cover with the 16 ounces by weight of olive oil. Cover the jar. Now simply place your jar in a warm location for 2 – 4 weeks. Strain the herbs which may then be composted, and then weigh the oil. If it does not weigh 15 ounces, add olive oil to make up the difference. If it’s over 15 ounces, remove until you have exactly 15 ounces. Use the 15 ounces of oil in the recipe below. For several quicker ways to infuse your oil, see Five Ways to Make to Make an Herb Infused Oil. Gather all the equipment and ingredients that you’ll need. Use a store-bought mold that will hold at least 39 ounces. Or make your own mold by lining a box (a shoe-box works great) with plastic or parchment paper. Before beginning, be sure to protect yourself from being splashed by the lye by wearing long sleeves, rubber gloves, and goggles. Be sure to have a window open for ventilation; I often go outside for this step. (Don’t worry; no lye will be left in the final product because of the chemical change that will occur). Very slowly add the lye to the cooled herbal tea (not the other way around). Stir gently until the lye is dissolved. The temperature of the liquid will quickly rise to as high as 200°F. Use caution. Prepare a cold water bath by filling your sink with several inches of cold water and adding ice cubes, or ice packs. Place the container with the lye mixture into the cold water bath, stirring occasionally until it reaches 100°F. Be especially careful at this point if you are using a glass container for your lye solution – the difference in temperature can cause the glass to break. I prefer to use a plastic container for this reason. While the lye is cooling, add the oils to your pot and stir over low heat monitoring the temperature. The goal is to get both your oils and your lye mixture to 100°F. Use the cold water bath to lower temperatures if needed. When both the lye mixture and the oils are at 100°F, very slowly drizzle the lye mixture into the oils, stirring constantly. An immersion blender is very helpful when mixing soap. While this speeds the process over hand mixing, there are problems that can occur. The immersion blender can add bubbles to your final product and I’ve seen beginners mistakenly think that the soap has reached trace because it appears whipped. To solve these problems, it’s a good idea to hand mix for the first 15 minutes and then move to the immersion blender. In addition, it is helpful to stir with the blender for a minute, turn it off and stir for a minute, turn it on for another minute, etc. 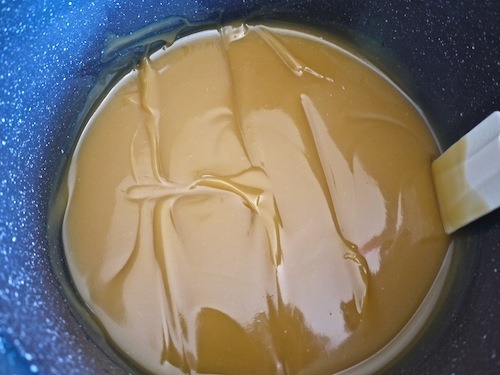 Continue stirring until trace is reached – when the mixture has thickened enough to leave a trail in the soap as you mix. In Step 1, you prepared your molds. Once your soap reaches trace, pour the soap into your molds. Cover your molds with cardboard and then a blanket to hold in the heat. Remove the blanket after 24 hours. Allow your herb infused homemade soap to remain in the mold until it is firm enough to remove. This may take several days. Then allow the soap to cure for 4 – 6 weeks. This is an important step that completes the process of saponification so that no lye with remain in the finished product. 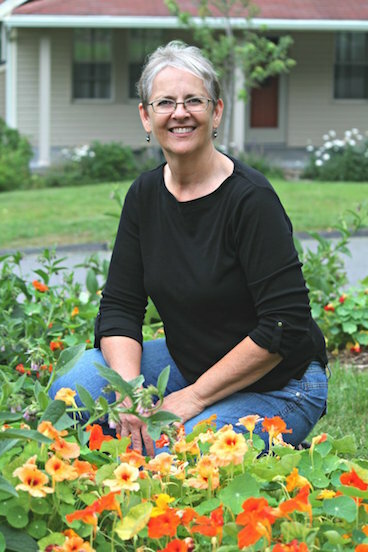 For more recipes, and great instructions for making soap including natural ways to color your soap, I highly recommend Jan Berry’s eBook, Natural Soap Making. It contains 25 palm oil free soap recipes. Feeling pampered yet? You’re gonna’ love this herb infused homemade soap! Ounces are by weight, not liquid ounces. See blog post for more specific instructions and tips. 1. Decide which herb(s) you will be using and infuse it into 16 ounces of olive oil. See blog post for instructions. Strain and weigh. If it does not weigh 15 ounces, add olive oil to make up the difference. If it's over 15 ounces, remove until you have exactly 15 ounces. 2. Using the same herb(s), make enough herbal tea that after straining weighs 9 ounces. Cool the tea to room temperature. 3. Prepare a cold water bath by filling your sink with several inches of cold water and adding ice cubes, or ice packs. 4. Carefully weigh each item to specified amount. Place the oils in a pot on stove over low heat. 5. Very slowly and carefully, add lye to herb tea, or distilled water, stirring constantly. It is best to do this in a well-ventilated area. 6. The temperature of the lye mixture will quickly rise to as high as 200°F. Place the container with the lye mixture into the cold water bath, stirring occasionally until it reaches 100°F. 7. Stir your oils over low heat monitoring the temperature. The goal is to get both your oils and your lye mixture to 100°F. Use the cold water bath to lower temperatures if needed. 8. When both the lye mixture and the oils are at 100°F, very slowly drizzle the lye mixture into the oils, stirring constantly. 9. When trace is reached, pour into molds and cover with cardboard and a blanket to hold in heat. Remove covering after 24 hours. 10. 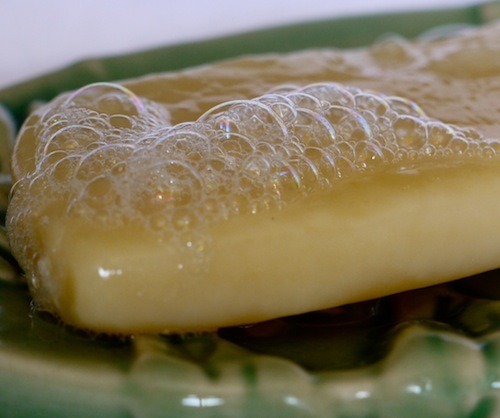 Remove your soap from your mold once it is firm, and allow to cure for 4 - 6 weeks before using. I really want to start making my own soap. Thank you for all this great information! Thank you, Annie. It can seem overwhelming at first, but is really a pretty straight-forward process. You can do it!!! Wonderful artical , also do you make liquid home made soaps? Hi Kristi-Anne, no, I’ve never made liquid soap; I know that it requires a different type of lye. Wow, that was a very easy to follow and well explained instructions. i love handmade soaps, i hope to make my own soaps someday..
before that i need to purchase your recommendation of john berry’s ebook, it looks amazing. im excited. Once the herbs are infused with the oil do you think it would be safe to use the immersion blender to liquefy all the herb and use the resulting mixture in the soap? Hi Gwen, it might work, but here are the potential issues – if your herbs are dried, it should be safe. If you’ve just used wilted herbs, there is potential for molding in the soap. The herbs will likely still show up as flecks in the soap, which isn’t necessarily bad. Some herbs, like calendula will be pretty, but a lot of herbs will turn brown/black and make the soap unattractive. It also makes measuring the oil more complicated. How much of the weight will be oil, and how much will be herb? This could affect the outcome. The only thing I can suggest is to make a small test batch to see how you like it. Hi Gwen, did you do a test run on your idea, if so how did it turn out? Hi Celine, I recommend using just the flower buds. Enjoy!